Is this bananas or what? A self-styled diet guru from Australia claims the key to her thin physique is ingesting massive amounts of fruit, including up to 51 bananas a day. 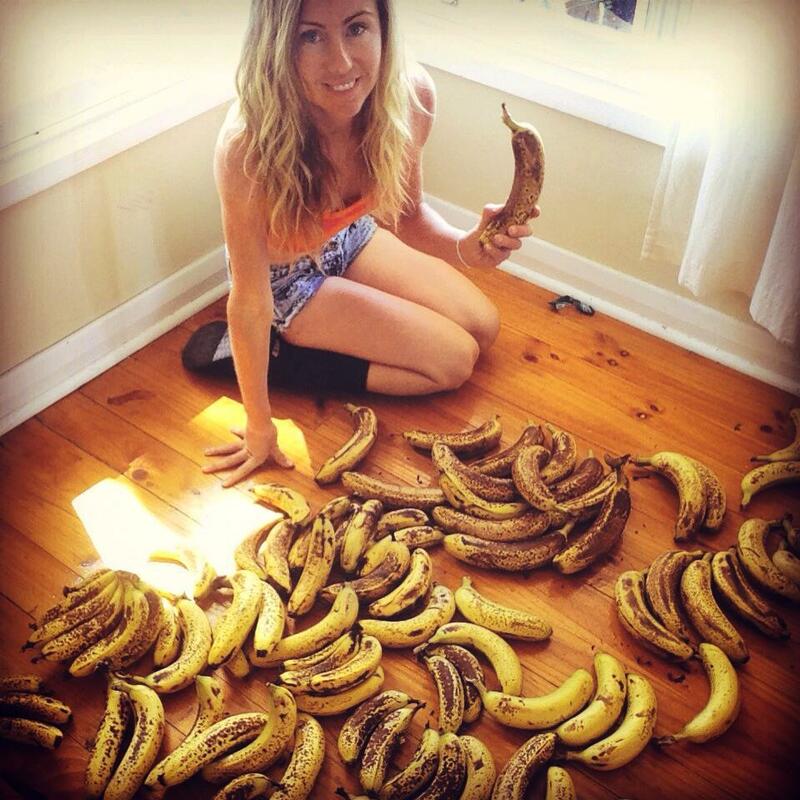 "Freelee the Banana Girl" touts the reputed benefits of her lifestyle on her YouTube channel. Having suffered from both anorexia and bulimia in the past, Freelee claims that adopting her low fat, high carbohydrate, raw, vegan diet saw her shed 40 pounds... as well as clearing up her acne, chronic fatigue syndrome, low thyroid function and terrible digestion. While many nutritionists have written on the benefits of raw, vegan foods, Freelee's diet, which involves consuming approximately 97 percent fruit, is extreme. Some critics have suggested that her diet constitutes an eating disorder. Although Freelee dismisses detractors, the Daily Beast points out that her diet plan is backed almost entirely by testimonials, and hasn't received endorsement from licensed dietitians or nutritionists. Earlier this year, the Daily Beast reported that Freelee's diet, which is marketed as "30 Bananas a Day," or 30BaD, is ostensibly modeled on the work of Dr. Douglas M. Graham. Graham is the creator of the 80/10/10 diet plan, which advocates 80 percent carbs, 10 percent fat and 10 percent protein. In an interview, Dr. Graham, who has studied nutrition for more than 30 years, said he doesn't endorse Freelee or her diet plan. However, the 80/10/10 diet plan has its own detractors. The Huffington Post named it one of the worst health trends of 2013. Last year, a pregnant Australian woman caused a stir when she gave an interview in which she said she'd remained on the 80/10/10 diet while pregnant.